Camping Les Berges de l'Iton es un camping en Breteuil, Eure, situado del río/arroyo y al borde de un lago/estanque de recreo. El camping tiene plazas con cercos, con sombra, sin sombra y parcelas con algo de sombra. Cabe alquilar caravanas y caravanas fijas. El camping dispone de parque de recreo. Para los excursionistas, el camping ofrece varias rutas para bicicleta. Para aquellos que desean relajarse después de una dura jornada, hay un centro de belleza. El camping dispone de una piscina cubierta con techo móvil. No tendrá que cocinar todos los días, porque en el camping hay snackbar y pizzería. En el camping podrá adquirir pan fresco. Es posible utilizar el internet, pues en el 80% del camping se puede navegar por internet con el ordenator portátil. Este inspector visita cada año al Camping Les Berges de l'Iton y lo inspecciona considerando más de 200 servicios y otros aspectos importantes. El inspector es un trabajador de ACSI y no trabaja para el camping. We only stayed one night but would like to stay longer next time. The toilet block is old but clean, toilet paper, soap and hand dryer provided. The Wifi is free and we could use it on our pitch next to the river. You can walk into the nearby town and it isn\'t far to walk the dog. We stayed on this site, with friends in two other caravans. The three caravans were pitched near the river which runs along side the pitches. The entrance to the site was not easy to negotiate with a caravan, as it involved a very tight turn, and then over a low curb which had not been dropped. The facilities were very acceptable. It was necessary to take our dog and our friends' dog off the site to find a suitable exercise area. All in all, a good site for a short stay. A pleasant well kept site on the edge of the town with friendly staff, (about 30% statics roughly) a little English spoken. Some narrow streets to negotiate. A river runs along side the site with some pitches overlooking. Toilets do not have seats or paper but are clean, a little outdated, laundry and dishwashing facilites are quite adequate. The swimming pool looked well kept but not warm enough to go in. Cooked food is available on site but not bread. A short walk takes you to the town with the usual shops, Carrefour Market is close by for provisions and fuel, a nice park is within walking distance. Further afield is Conches en Ouches which is worth a visit. A friendly vet with some English is on the outskirts of the town, 10euros for small dog. Nice campsite with friendly staff . Large flat pitches near the river. Access into site can be very difficult if approaching from town with caravan. Pass the site on your right & turn round at junction (100m) & enter from other side. Lovely town within walking distance, lots of shops etc. This campsite was difficult to find especially from the town (a really helpful French lady took us to it by following her car) and very tight turn into it. A caravan trying to get in had to do a fair bit if shunting. The pitches were OK some with hedges and some on a field alongside the river. The nearby town is pleasant and not too far to walk to from the site. Worth a short stay, but not a long stop. ¿Desea reservar u obtener más información sobre su camping Camping Les Berges de l'Iton? Puede hacerlo mediante los datos siguientes o a través de la web del camping. Desde Evreux por la D830 hasta Conches en Ouche. Después por la D840 hasta Breteuil y siga las señales del camping. Desde Verneuil-sur-Avre por la D840 hasta Breteuil y luego siga las señales. 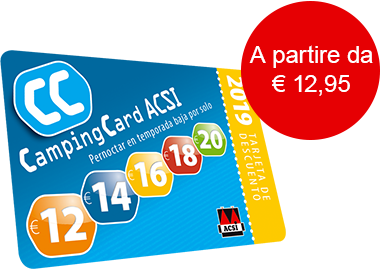 ACSI Eurocampings reenvía su solicitud de información al "Camping Les Berges de l'Iton".